Amazon Echo Quotes Mass Effect | Nerd Much? For those who don’t know, the Amazon Echo is line of virtual assistants much like Siri from the iOS that you place in your home and it allows you to play music, check the weather and traffic anywhere in the US, hear sports scores, and more. They also send all of this information back to Amazon, including your shopping habits which has led to a few amusing stories of folks accidently buying strange things. Nonetheless, it seems whoever designed this assistant was a big fan of Mass Effect, as seen in the Tweeted video below of user @TheAblionGirl testing the Amazon Echo Dot. 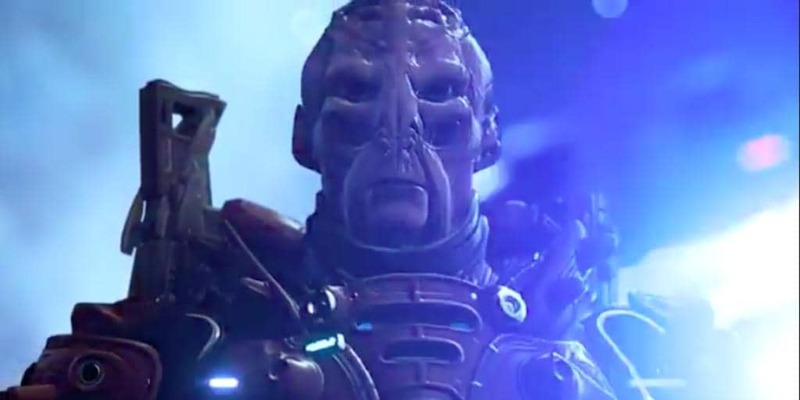 “Does this unit have a soul?” is a question the geth character Legion poses to its quarian creators in an act of irony. “Keelah se’lai” is a phrase used by the quarian race, and most notably your squadmate Tali. It’s of course a little more complicated in the game, but if you’d like a refresher (and have a box of tissues at hand) the video below will explain it all. Stay tuned to Nerd Much? for the latest gaming news and morsels of Mass Effect information.